While Sunday's (2/9) tribute to the Beatles on the anniversary of the group's Ed Sullivan debut produced a few worthy musical highlights, it left us wishing that Paul McCartney and Ringo Starr had decided who performed during it instead of CBS. Doors fans should be in for a more fitting tribute to Jim Morrison and Ray Manzarek because it is being organized by Doors guitarist Robby Krieger. Krieger says the event is intended primarily as a celebration of the musical life of Manzarek, the keyboard player that passed away in 2013, so he is concentrating on recruiting musicians '...who Ray either idolized or guys who idolized Ray'. He says that Doors drummer John Densmore is on-board for the event. 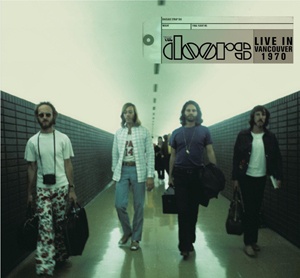 Densmore's objections to Manzarek and Krieger continuing to perform Doors material under names derivative of the band's original name led to a falling out and lawsuit. Krieger notes, '...John and I are back on track... too bad it took Ray's passing to cause that. But I am happy that we are.' The timing of the event largely depends on finding a summer date on which the most important participants will be available. The Greek Theater and the Hollywood Bowl are apparently the leading venues under consideration for the concert.